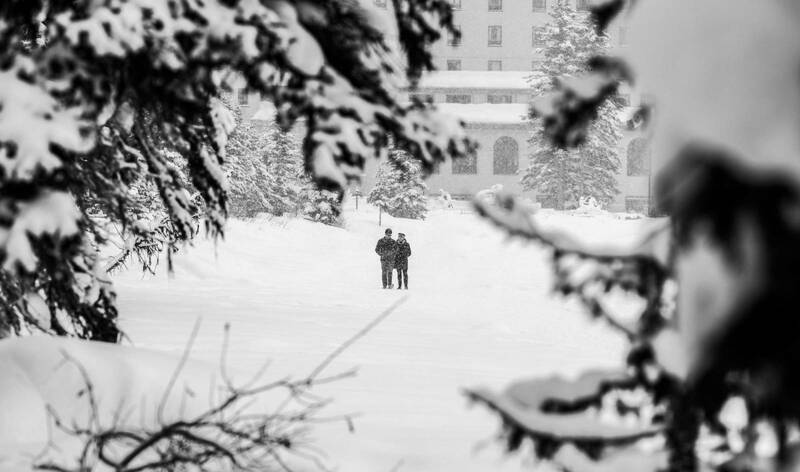 I know everyone is busy enjoying the beautiful sunshine, budding trees, and biking trails BUT we're taking you back to a snowstorm in Lake Louise today. 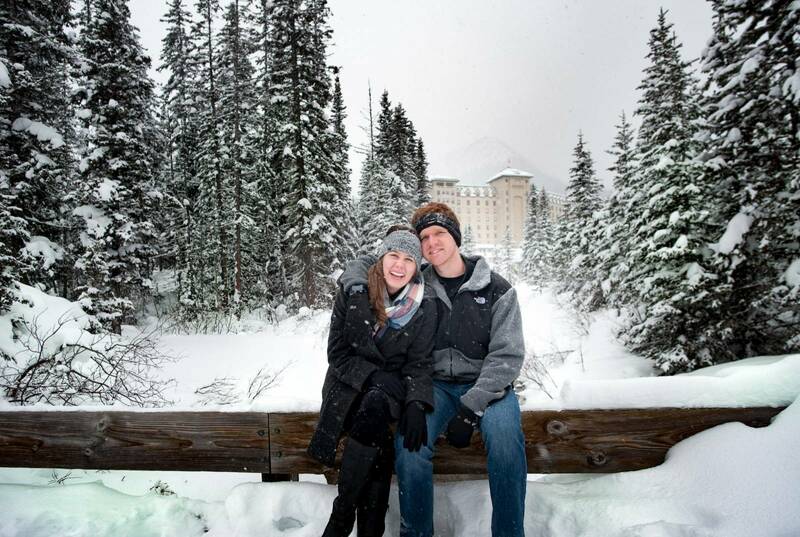 I know you won't mind one bit because we're taking a peek at a secret proposal session with Canmore Photography today! 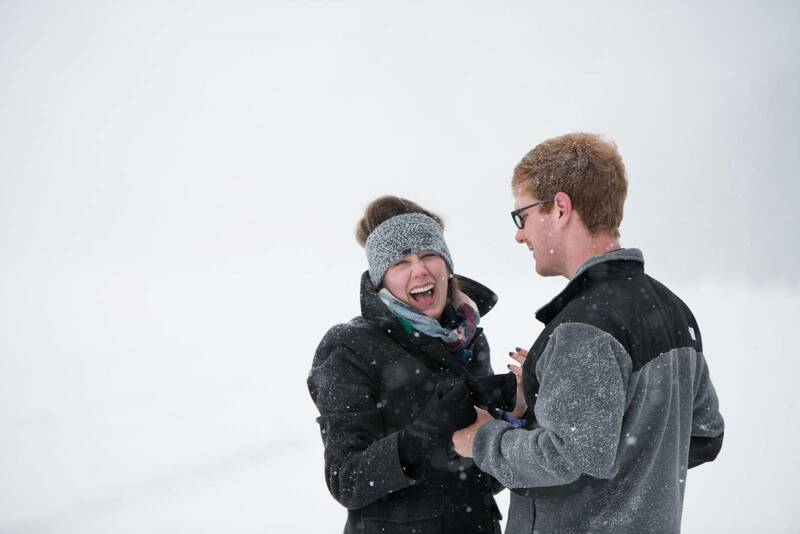 One of my favourite things is getting to peek into a beautiful proposal and see the excitement and joy on their faces. 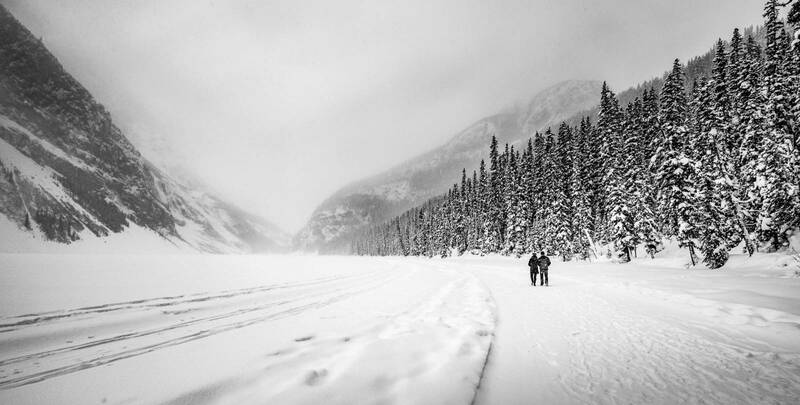 Troy and Megan decided to brave the storm and head out for a romantic walk around the lake. Troy had arranged for a photographer to take photos of them but Megan wasn't totally in the loop about what was really happening today. 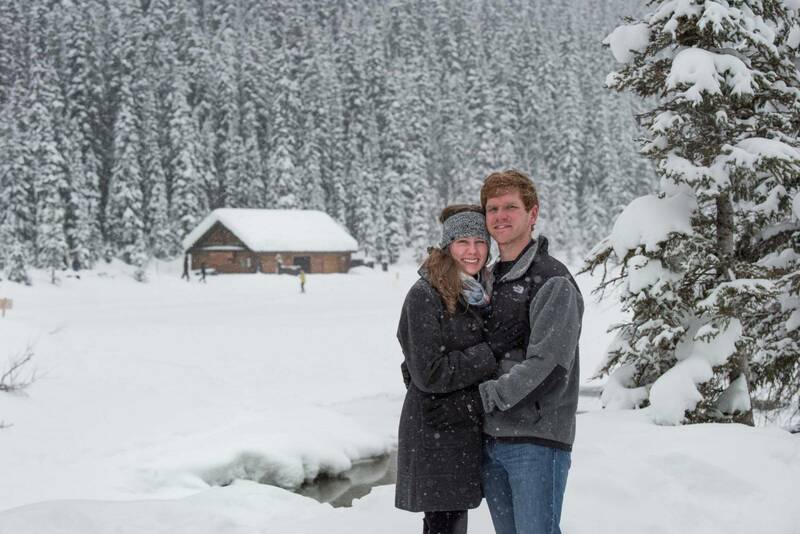 They walked through the fresh snow and as they got farther away from the hotel and people Troy decided it was the perfect spot. Then Troy got down and one knee and asked the love of his life to marry him. 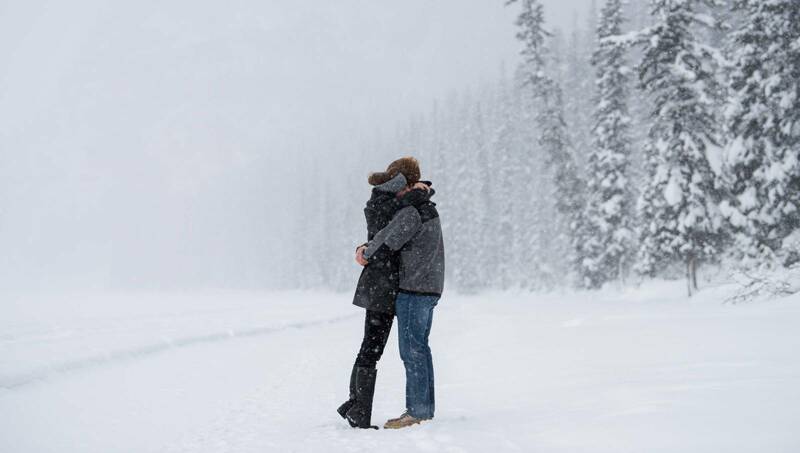 The snow kept falling and covered the two of them soft creating the perfect moment that the two of them will never forget! 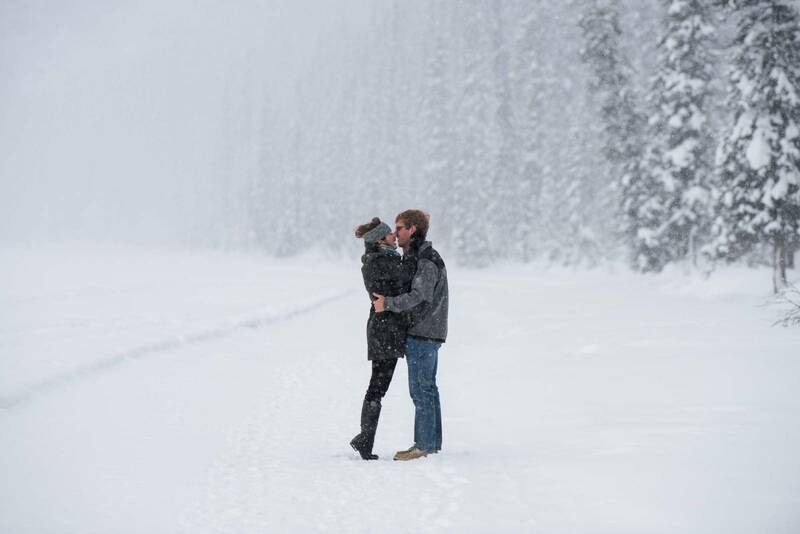 After saying "yes" Megan and Troy continued on their walk and worked with their Canmore Photographer to take more photos of the joyous celebration of love. 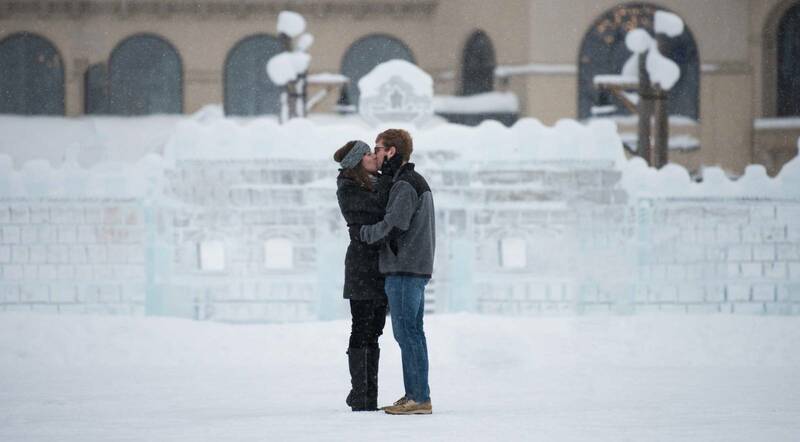 They headed back to the gorgeous ice castle and the Chateau for more photos together. 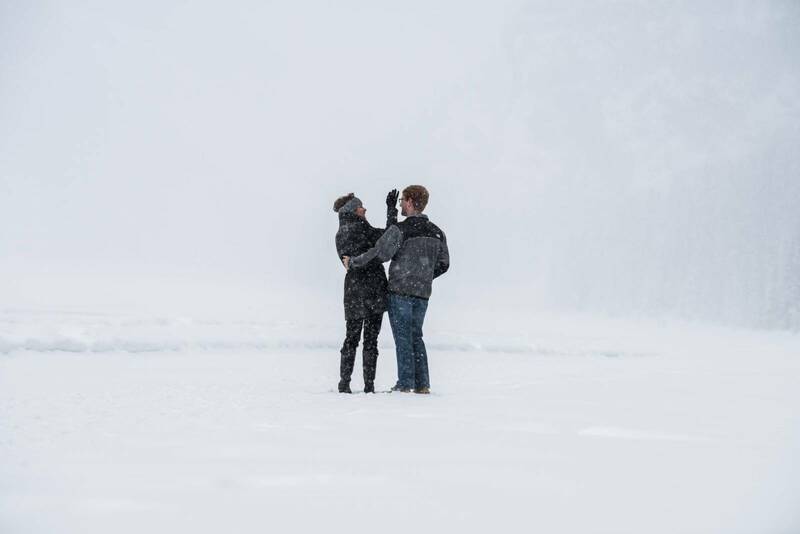 Now that's the way to create an incredible engagement session! 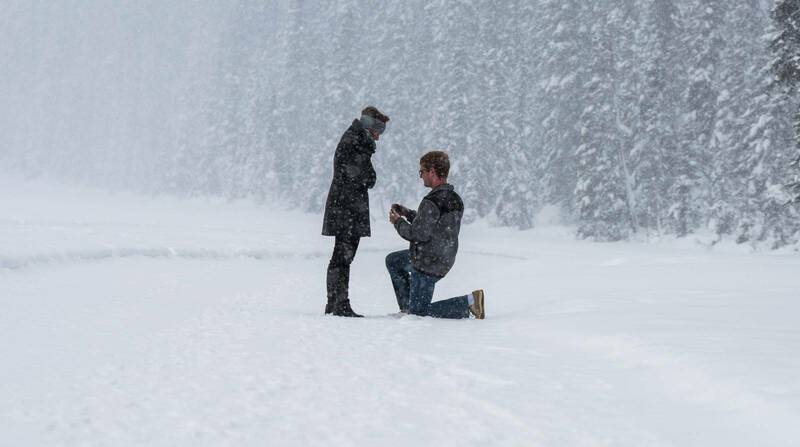 We hope you loved seeing the joy of this beautiful proposal today and it reminds you of your own special moment and the reason why you're getting married and working through all of the nitty-gritty details of planning a wedding today! 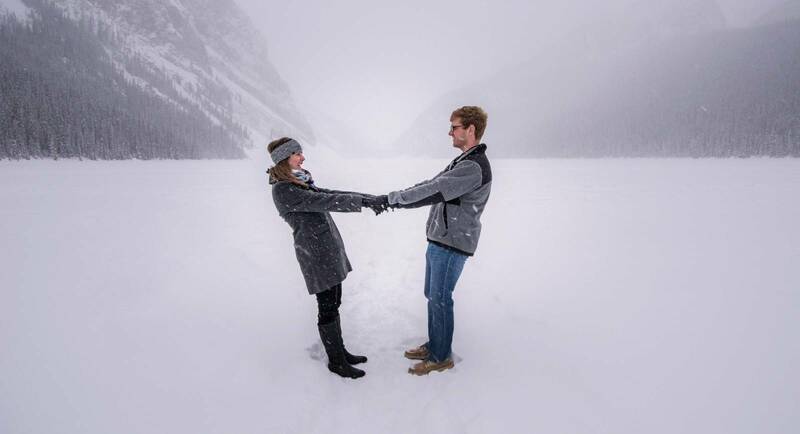 A huge thank-you to Canmore Photography by Les for sharing this gorgeous proposal with us today and for his love of adventure photography. Be sure to head over to his site for more info about his photography.